To ring into the New Year, popular third party Twitter app, Carbon has released a massive update with a total makeover. The new Carbon for Twitter version 2 Android app has a new design which improves on the earlier minimalist design the app was known for. The brand new Timeline design streamlines your activity on the app. You can tap on a tweet to find quick actions buttons while the rest of the tweets are dimmed. Further, the Quick Timeline feature replaces the drawer and allows you to directly access favourites, retweets, and lists. The earlier tabs and even the dividers between the tweets have been removed. All the focus is now on the plus sign at the button which has options for composing a new tweet, your profile, and settings. Similarly, tapping on the profile picture would take you to the Settings. 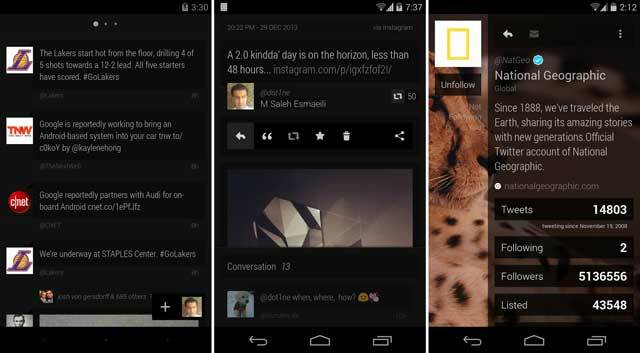 You can download Carbon for Twitter from the Google Play store.